I had intended to write both witty and thought-provoking material for y’all today, especially considering this marks my first official post on my new blog site. However, I am too busy observing Cinco de Mayo to do such a thing. So I leave you with this, enjoy. 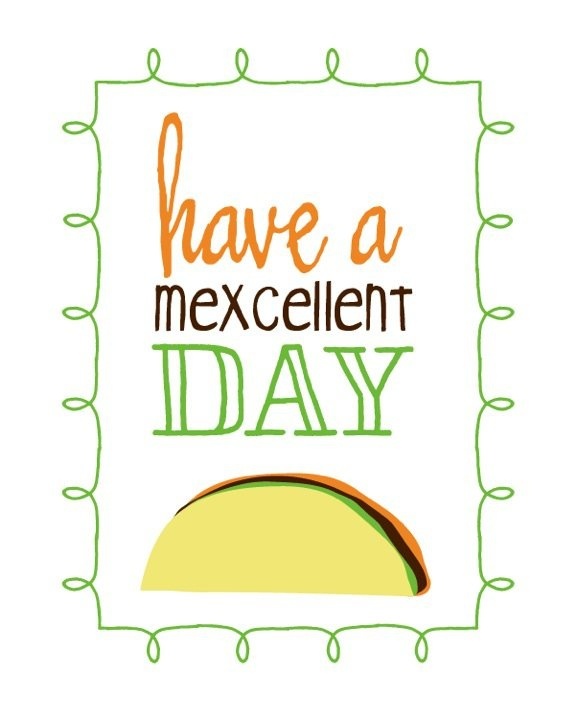 Have a Mexcellent day! Ole! Enter your email address to follow this blog and have posts delivered right to your inbox. Carrie has read 11 books toward her goal of 20 books.